EVEN if you try and squeeze every last bit of air out of them. That work for a bit. So if we ARE storing duvets. There needs to be an unbelievably good reason for keeping them. Letting them go will actually free up LOADS of lovely space quickly. 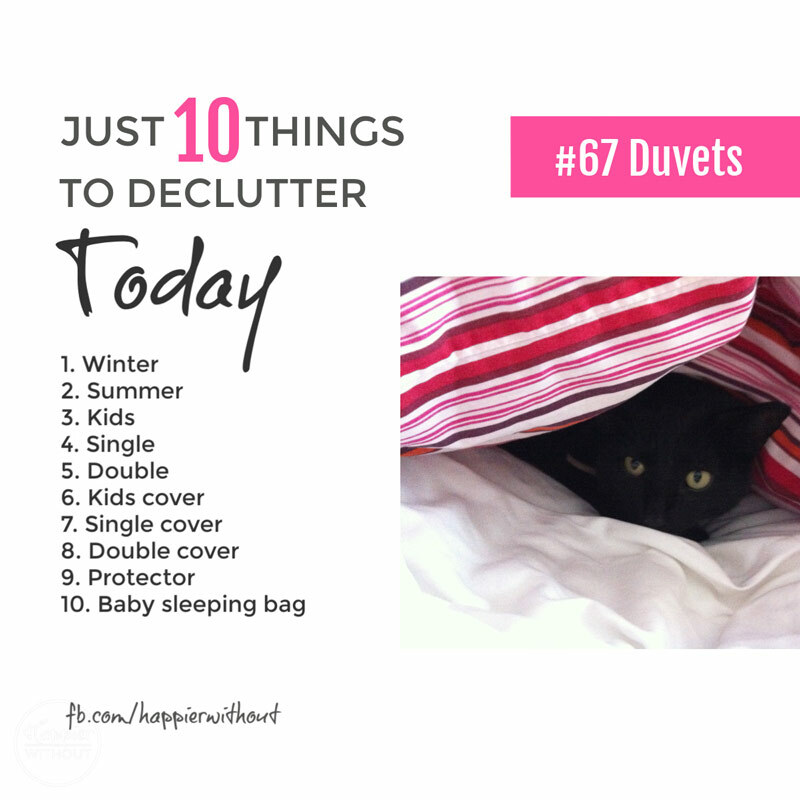 So today we are going to declutter our duvets. And remember we do NOT have to store things for every single possible eventuality. With a medium and light weight duvet for each bed that can double up as heavy weight in winter, we’re good. IF we do have a house full of guests, we can make do. To asks guests to bring something for the baby. Or the kids. Or a spare duvet cover. Barely, rarely used duvets gobble our space. And that space is precious for us. AND actually helps us sleep.